Fortnite, Call of Duty: Black Ops 4, FIFA 19 and Red Dead Redemption 2. What do all those games have in common? Well, they are all - according to various sales trackers (GSD, GFK, NPD etc...) the biggest selling and most popular video games this year. And they're all not available to buy and download via the world's biggest digital games store: Steam. For the best part of a decade we have written about "the new player that wants to take down Steam" - whether that be a giant like Amazon or an upstart we'd never heard of. None of them came close to threatening Valve's dominance, and in reality we knew they wouldn't. Steam not only had the market sewn up, it was also - frankly - a superior product compared with all that dared fight it. Today, the threat to Steam's stronghold on the PC digital market is more pronounced. And we're not exclusively talking about Epic's upcoming new online store, either. Valve is coming under attack from all sides. Activision Blizzard has its own distribution platform. So does EA. So does Ubisoft (which does, admittedly, also use Steam). So does Microsoft. Even Bethesda has gone it alone with the PC version of Fallout 76. The biggest studios with huge marketing budgets are asking whether there is a way they can release their game on PC without having to give Valve 30 per cent of their revenue - and with enough effort and financial backing, the answer is 'yes they can'. Certain mid-size and independent studios are being courted by specialist download stores, too. These stores are offering attractive rates and marketing support in exchange for exclusivity away from Steam. It takes a brave developer to ditch the user base of Steam for a smaller competitor, but considering the numbers of games published to Steam daily - and the struggle some studios are facing in getting seen - heads are beginning to turn to other solutions. 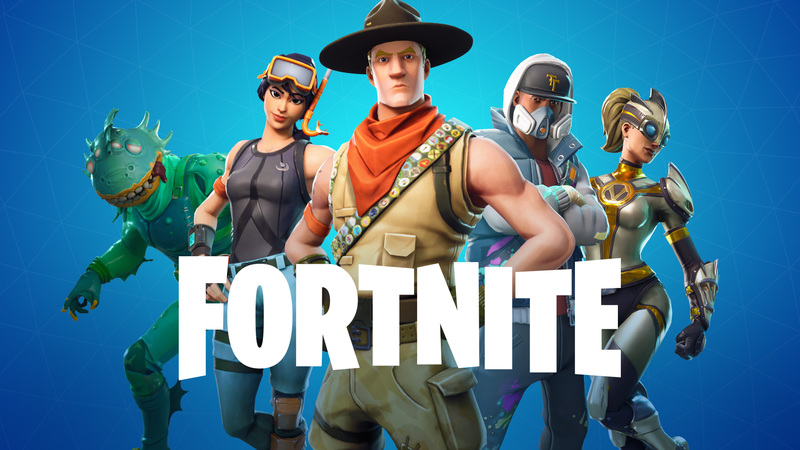 A powerful technology partner like Epic, with the pulling power of Fortnite, will surely attract even more attention - especially with that aggressive 88/12 revenue split. The talk of a more 'curated' store will certainly attract some of the larger studios, too. Then there's the threat from streaming. The business model around games streaming remains questionable, and so far no streaming platform has been able to make it work to a significant degree. Yet Microsoft and Google's new streaming offerings have reignited conversation in the distribution model. Publishers and developers have told us that they're confident the technology is ready (or nearly ready) now, and the main challenge is making it work financially. Microsoft will be heavily pushing its Games Pass subscription service in the next few years as it moves to a more Netflix-like business. All of this is a threat to Steam. Valve's reaction last week - perhaps a move to pre-empt Epic's Store announcement - was actually long overdue. Offering a 75/25 sale split for games generating over $10m, or 80/20 for games that reach $50m+, is designed to stop more big name publishers launching their own stores, or taking a 'gamble' on Epic's platform, or Tencent's, or any of the other rivals out there. The new Valve deal is not quite as attractive as what Epic has put out there, but the retailer will hope it's enough to deter any further defectors from leaving its store. Indie developers took to Twitter over the weekend to complain how Valve's new revenue share split clearly supports the big companies over the smaller studios that need it most. Although the complaints are understandable, this is clearly a business decision first and foremost. Smaller studios are not the ones abandoning Steam (yet), so there's no need to cut the price. The threat to the platform's future growth comes from the bigger companies that frankly feel Valve isn't doing enough to justify almost a third of their revenue. "Valve wants everyone to know how significant its platform can be, and why it's worth the cost of entry." Another important element of Valve's announcement last week (and one that was over-looked by many) is the removal of restrictions around what developers are able to share about their sales figures. Valve has long been the stopper that has prevented digital data to be freely shared with charts companies and the media, and although the firm was willing to let developers share figures if they wanted, these studios still had to ask if it was ok to break the confidentiality clause. Valve's reluctance to share numbers was partially because it didn't want the world to know just how popular it had become. It wanted to control the message around the success of Steam. Now, with fresh rivals smelling blood, it wants everyone to know how significant its platform can be, and why it's worth the cost of entry. The power is still with Steam. It is comfortably the market leader and there isn't a PC platform out there that matches what Valve offers to studios. Yet the threats that surround it are real, and it's prudent for the retailer to take them seriously. There is frustration around Steam. Discoverability on the platform is a significant issue, and a bold new challenger like Epic, with much improved terms, is going to convince some developers to give it a try. Valve's new revenue share is a solid start, but if it really wants to snuff out the danger, you feel it will need to cut a little deeper - and encompass more creators. The worst thing it can do is believe its dominance along will be enough to maintain its success. Whatever the outcome, competition is going to be good for developers. The next few years will be fascinating when it comes to the future of digital retailing. Xbox is also competition given they added m/k support. Yep and I read that, but I'm talking Xbox in general. With official m/k support and Xbox X, the xbox is a much closer substitute for pcgaming than it was a few years ago. Xbox X gives the console world some of the upgrade capability the pc world had enjoyed. And now the Xbox also has the controller method of the pc world as well. MS has a few things in place there to lure more pcgamers to the console world. They also have the motivation to do so since they make a royalty off every game sold on the Box and can charge for online play as well. The royalties aren't as cheap as Epic is offering but even Epic has said that the royalties on console are fair given they have to manufacture and subsidize hardware and given they do a lot to promote 3rd party games. IT's very early days there, but those 2 moves - upgradeability and m/k support - have lots of potential. Epic also has a card that Valve clearly can't match: free use of UE4 if they distribute on Epic's games store. This cuts a significant portion of development costs. @Bob I don't understand the interest for mouse and keyboard on console. To me this is completely counter intuitive to the appeal of a console in the first place. You want something that's easy to set up, no hassle, just sit back on your comfy couch and play with a controller. The moment you start messing with a mouse and keyboard, you need to be sitting at a desk, closer to a monitor, and effectively just be using a PC. Nowadays I prefer the inverse situation: I switched back to PC after the last generation but I still play most of my games with an X360 controller when supported, or mouse/keyboard for more typical PC titles. The pt of using m/k with a console would be to have a pcgaming-like experience for less money and less hassle. But the larger observation was that MS is (stealthily) setup to compete with STeam (and pcgaming) via the Xbox because of m/k support and X1X. I think it's in their interest to attract pc gamers to the Xbox in order to make money off of them because they currently don't make any money off of pcgamers on pc. STeam does. So to me they are lining up the Xbox with native m/k support and upgradeability to do just that. I think Sony doing the PS4 Pro also was a move aimed at keeping gamers on console whereas before they might lose some to pcgaming as the gap between console and pc hardware widened later in the console cycle. MS also doing the app store on pc. And playing that angle as well to try and make money off pcgamers. They have some leverage with it being part of Windows, but Steam is so entrenched for gaming on pc. Mouse and keyboard support is for the FPS diehards and probably one last attempt to get RTS moving on console. We don’t need more online stores, we need a centralized UltraViolet style rights locker that allows you to create a family of users, and records what you’ve bought, so if Steam/GOG//whatever dies, your purchases are protected. Having multiple marketplaces was an inevitability in the PC markestspace. Valve wasn't going to be the only one for so long. CDProjeckt Red has GOG, Ubisoft has Uplay, Kongregate is doing Kartridge, EA with Origin, and ActBlizz with BattleNet, now Epic has joined the fray. At some point, these companies were going to look at Valve and think to themselves "Why are we giving them a cut to publish our games when we are perfectly capable of doing so ourselves". This is the same thing Netflix is suffering from at the moment. These companies are going to make consumers "choose a side" because if they can get 100% of the profit off their games PLUS get a cut of others for utilizing said marketplace it's a win for these companies. IMHO, I think Valve should start preparing for this inevitability and start making high profile games again to make Steam more attractive. Maybe they should start looking at the number 3 for most of their titles lol. All of those aforementioned companies still make games and ultimately people will decide to jump on that train once they close the gap on Valve. @Jeff Kleist: Yep it's not that the X1X is upgradeable, it's that the X1X is the upgrade. The equivalent of upgrading the gpu in your pc. @Bob Johnson: Just my opinion but I really don't think mouse and keyboard is nearly compelling enough as a feature to position Xbox in that way. Affordable power in and of itself is probably more interesting but then again, that's generally part of what consoles are trying to provide.